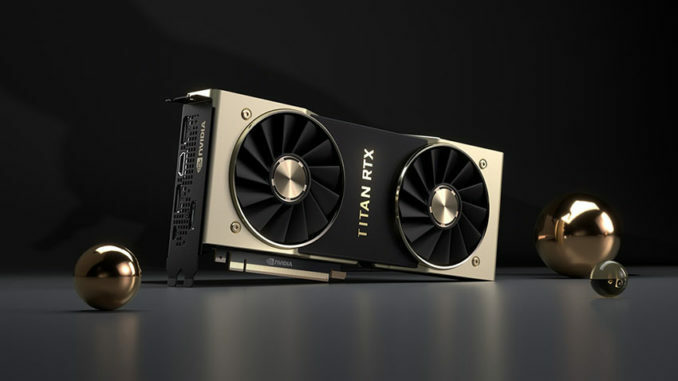 The next model in the new NVIDIA Turing line of Titan graphics cards is the Titan RTX, and with over 130 teraflops of performance and 11 GigaRays of ray-tracing performance. That makes the Titan RTX the most powerful GPU on the market. 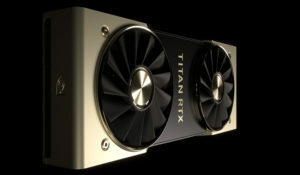 Designed to tackle effortless 8K and virtual reality video workflows, the NVIDIA Titan RTX (also known as the “T-Rex”) has over 24GB of GDDR6 RAM memory, twice that of previous Titan GPUS, and over 672 GB/s of bandwidth, that can work in concert with NVIDIA’s NVLink for an additional 100 GB/s. Thanks to it’s Turing architecture, two cards can be daisy chained together to handle higher end workflows. The Titan RTX was designed with the heavy lifting of real-time 8K video workflows in mind, and offers a combination of artificial intelligence and machine learning with real time ray-traced graphics which next generation virtual reality workflows can take advantage of as well. The result, is that video editors won’t have to wait for rendering to see how changes are effecting the 8K timeline, and CGI models will be able to interact in real time. Finally, editors have a GPU that can push the heavy computations and cut post production costs by shortening turn around times. The NVIDIA TITAN RTX will be available later this month in the U.S. and Europe for $2,499. 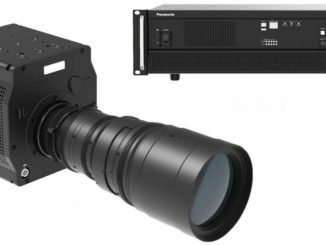 Half the cost of the Quatro RTX, putting it within reach of low budget, indepdent film companies in need of high performance graphics that won’t bust the post production budget.